What's the Difference Between On-Site & Off-Site SEO? What’s the Difference Between On-Site & Off-Site SEO? SEO, or search engine optimization, is a type of marketing that focuses on increasing long-term organic traffic to a website or web page. It does this by focusing on the search engine compatibility of the website being optimized. 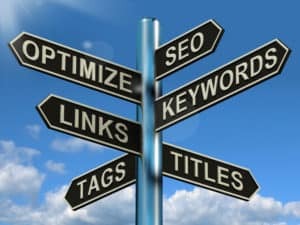 The primary goal of SEO is to increase your website’s search result ranking on Google. SEO is a practice that has a few different approaches, so it can sometimes be challenging to fully comprehend this type of marketing. 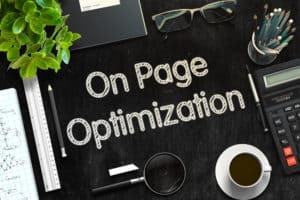 This blog post is designed to give you a better understanding of SEO, and to explain how you can implement different approaches to increase organic traffic on your website. There are two different types of SEO, being on-site SEO and off-site SEO. Both approaches have the same overall goal of increasing your website’s ranking for search engine results. Both on-site and off-site SEO help increase the amount of organic traffic you get on your website, but they are considerably different from each other. On-site SEO is great if you feature a large amount of content on your website. Off-site SEO is great if you are unable to publish content to your website on a regular basis. On-site SEO, also known as on-page SEO, encompasses all SEO tactics that are done on your website. An example of on-site SEO is the practice of including specific keywords in the text of your website. It’s also important to provide quality content that will benefit readers. Having quality content is very important because Google ranks it drastically higher than websites with bogus and low-quality content. Using strategic keywords in your titles, subheadings and woven throughout your text, will also help with your performance on Google. When people search for a specific keyword phrase, Google will be more inclined to display your website at the top of the first page of Google, if your keywords were more strategically and thoroughly placed on your website. Google AdWords offers a free tool to help you decide which keywords to use in your content. You will typically want to select keywords that are frequently searched and have little competition. Try not to be too repetitive when using these keywords, and make sure your writing sounds normal when using them. The higher the readability of your post, the higher Google will rank your website in search results. Having good readability for your content is just one more on-site SEO factor Google considers when ranking your website. In a future blog post, we will provide a more detailed roadmap of how exactly to implement on-site SEO. For now, we hope this brief explanation will suffice. If you have questions though, feel free to let us know! Off-site SEO, or off-page SEO, is all SEO tactics that occur off your website. You can practice off-site SEO by building backlinks, social media marketing, influencer sponsorships and even writing as a guest on someone’s blog. If your website has been linked to, or is mentioned on, high-quality websites, Google considers that an indicator of your website’s quality. For this reason, off-site SEO is just as important as on-site SEO. Off-site SEO is great for websites that do not regularly post content, like blog posts. Proper backlinking is the foundation for all effective off-site SEO. There are three different types of backlinks. These include natural links, manually built links and self-created links. Natural links are very similar to word-of-mouth marketing, as you rely on others to link to your website from their own website or social medias. Natural links are acquired organically, without needing to be asked for. Manually built links are created when you ask people to link to your website on their blogs, or share your website on their social media accounts. This may take place in the form of a promotional deal. Lastly, self-created links are created when you are leaving a link to your website on other sites. For example, when you add your website link to a website directory or share your link in the comments of blog posts, you are leaving a self-created link. Which Type of SEO Should I Practice? As mentioned earlier, on-site SEO is great for those who run a blog or regularly publish other forms of content on their website. Off-site SEO is great for those who cannot easily publish content to their website. Both methods of SEO are very valuable to your website and are usually inexpensive, compared to traditional marketing, such as using billboards, sending out mailers or having a radio/television spot. When deciding which SEO tactics you should implement in your marketing strategy, you should look at which method is best for your website. To practice on-site SEO, you must make sure that you publish enough content. To practice off-site SEO, make sure that you can build backlinks for your website. If possible, you should practice both forms of SEO if your website allows for it. You will find that the use of both methods are very beneficial for increasing organic traffic. It’s important to remember that Google considers many factors when ranking your website. It doesn’t just look at your keywords or the number of backlinks you have acquired. It’s suspected that Google actually has about 200 factors it takes into consideration when ranking your website. It will likely take some time before your website reaches the first page of a Google search. The general rule of thumb is to expect results in about 3-6 months. Sometimes you can see great results in one month. Other times it can take a year or more. The amount of time needed rank well depends on many factors. If you have questions about this, we would be happy to have a conversation with you. But, be patient with the SEO process while you are improving your content, increasing your website traffic and getting exposure from website visitors. If you would like some additional information about SEO, or if you would like help implementing SEO for your marketing strategy, feel free to contact us by filling out the form below.